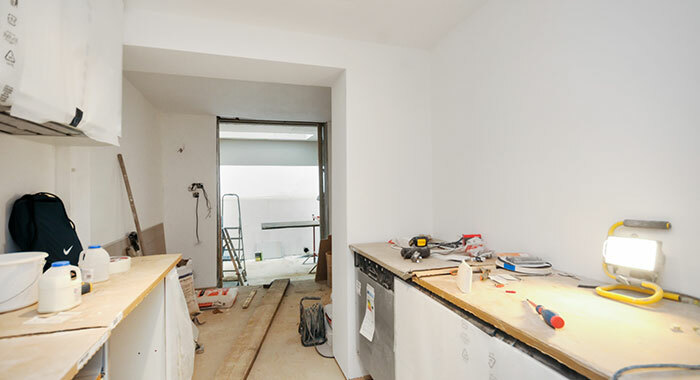 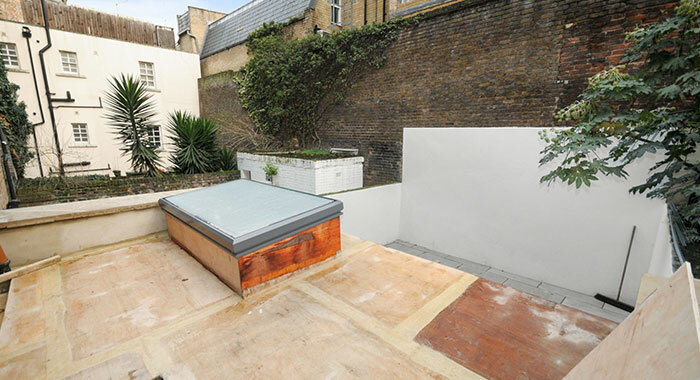 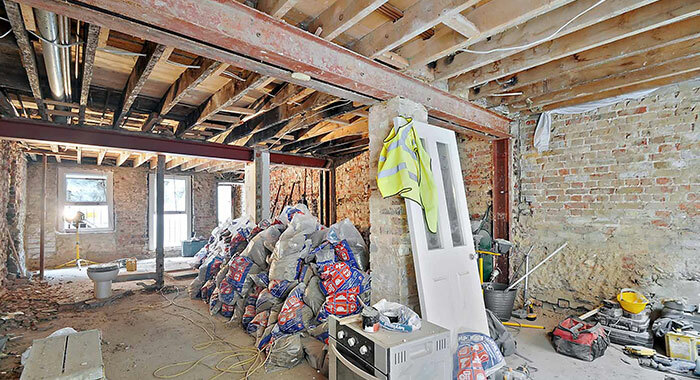 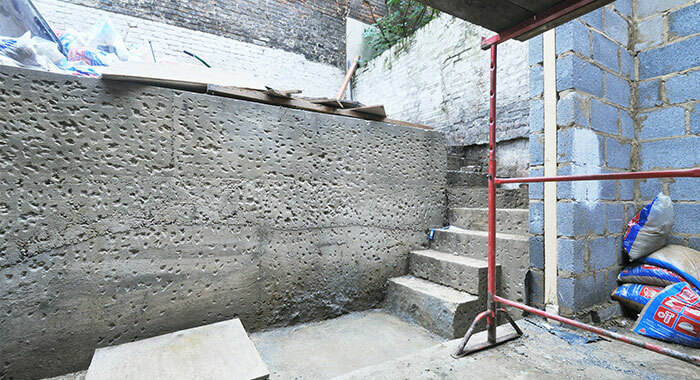 Architect designed, complete refurbishment and extension of a basement flat in poor condition in a period building situated in a conservation area in Marylebone. 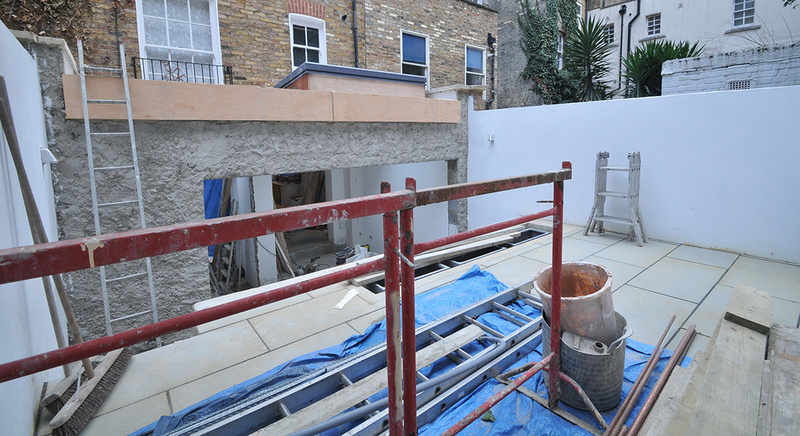 This project involved obtaining planning consent for a rear extension to the property, maximising the internal area and natural light to the property. 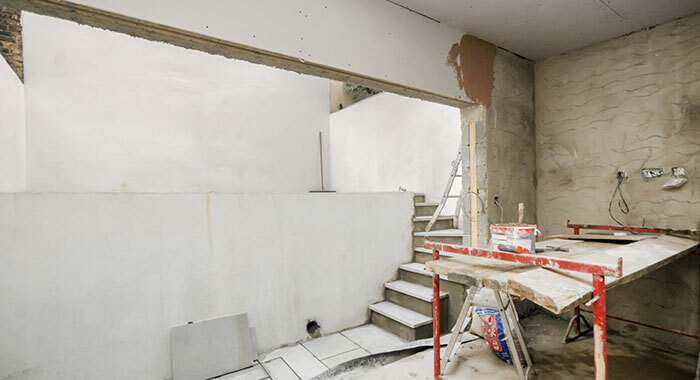 The design of the new internal layout was painstakingly considered to create a remarkable new 2 bedroom, 2 bathroom apartment with flexible accommodation and external split level terrace using very high quality building materials, fixtures, fittings and finishes. 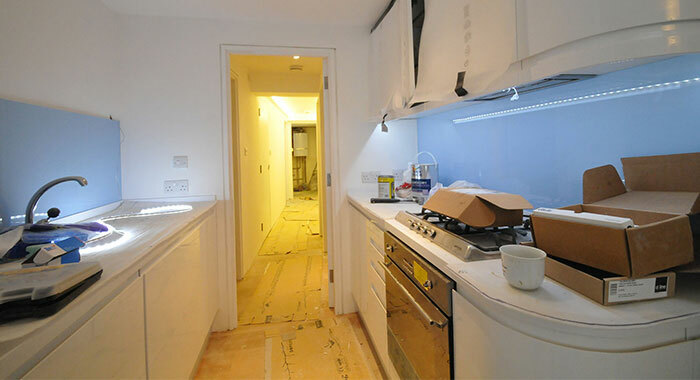 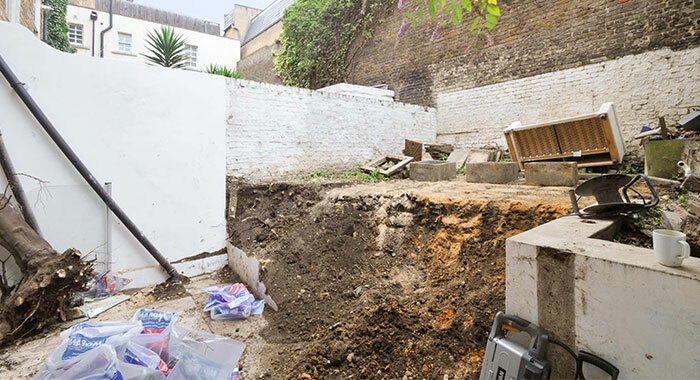 The apartment was fully stripped out back to the brickwork and concrete floor slab and all existing services were replaced. 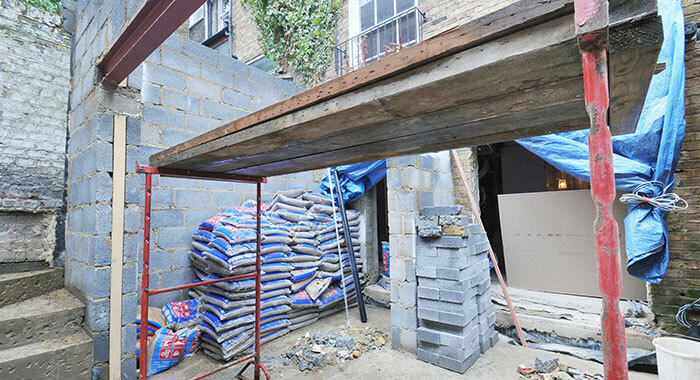 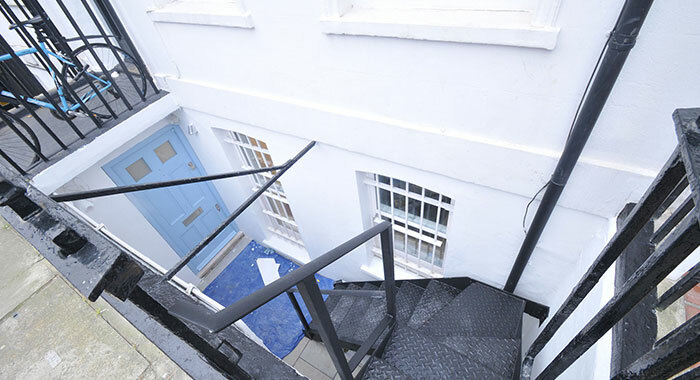 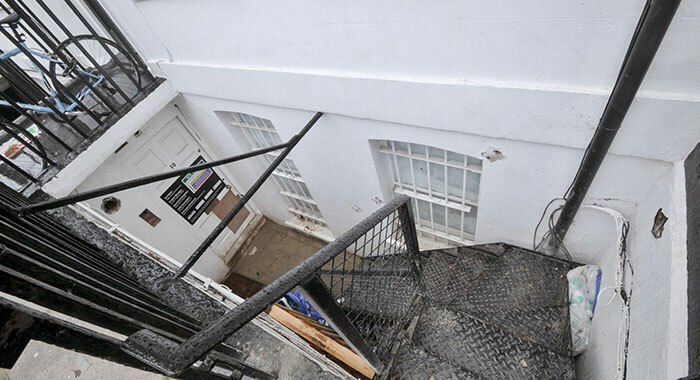 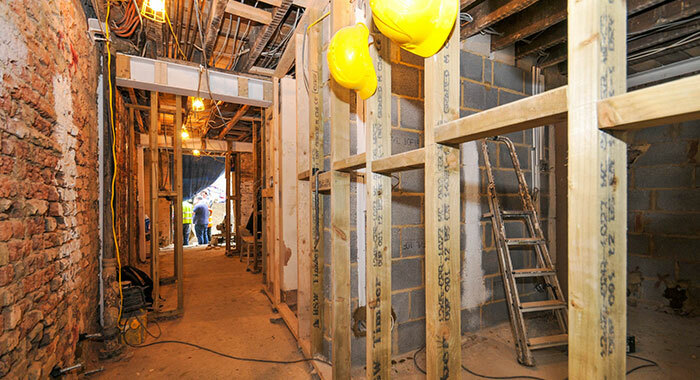 Project Management included obtaining party wall agreements, freeholders licence to alter and identifying solutions to satisfy building regulations.